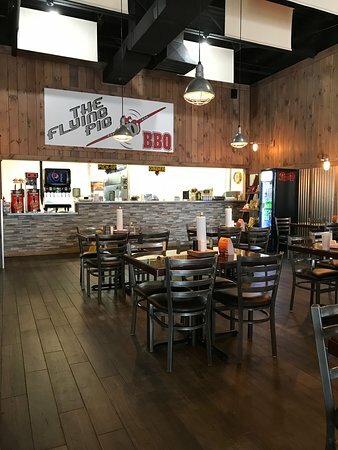 There aren't enough food, service, value or atmosphere ratings for The Flying Pig BBQ, Tennessee yet. Be one of the first to write a review! Stopped in for a carryout lunch order. The barbecue pork was pretty good. The beans didn't quite measure up. Not a bad price. Decent portions. Excellent BBQ. 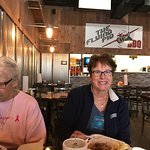 I've tried every place in the county and Flying Pig wins hands down on quality, service and price. Right next to the interstate too. Great food, generous portions, good value. Friendly staff and a clean restaurant. We'll be back our next time through TN. We ate here with our 3 young kids and they loved the sweet bbq sauce. 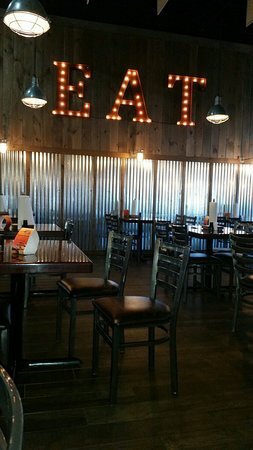 Very clean dinning area with friendly staff to greet you. There stuffed baked potato comes with pulled pork or chicken and will not leave room for dessert. But in case you squeeze it in, the banana pudding is incredible. You won’t be disappointed! It’s very clean inside! Staff is friendly. Delicious overstuffed large sandwich and baked potatoes! New inside! 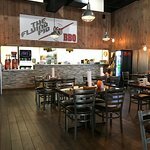 Get quick answers from The Flying Pig BBQ staff and past visitors.